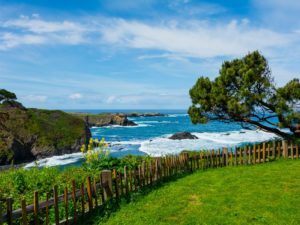 Just 10 miles down the coast, Mendocino is an especially charming coastal town and the only one on the California coast designated as a historical landmark. Established in the 1850s, you’ll find grand Victorian buildings along with saltbox cottages. It’s also famous for its art galleries, stunning scenery and as the fictional home of the popular television series, “Murder, She Wrote,” starring Angela Lansbury, which featured exteriors of the town and also used a Victorian B&B as Jessica Fletcher’s home. Mendocino is also a great place to stop for a bite to eat, with everything from quaint cafes to upscale, fine dining with ocean views. Whats the best way to visit San Francisco? Continuing south on Highway 101, you’ll find yourself traveling over the iconic Golden Gate Bridge into the city of San Francisco. Before crossing, exit the highway onto Alexander for the best views. Hopefully, you’ve planned to spend more than just a few minutes here. 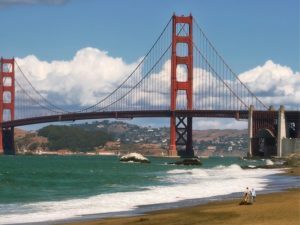 A few of the highlights include riding a cable car, touring Alcatraz Island and visiting Golden Gate Park, which houses the California Academy of Sciences, the De Young Museum, botanical gardens and more. Is it worth stopping in Greyhound Rock Beach? If you’re looking for the perfect beach to take a break on, it doesn’t get much better than Greyhound Rock. 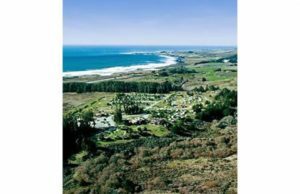 Located about 38 miles south of Moss Beach, you’ll notice a sign indicating beach access to the right and a large parking lot that appears not to have much of anything else to offer, at first. Accessing the beach requires a steep, but short, walk down the cliff, which seems to keep most people away, although it’s fairly easy to navigate. Once there, even during the peak summer months, you might have this beautiful stretch of sand all to yourself. Occasionally an elephant seal will make an appearance – and, dolphins can frequently be spotted leaping from the surf. 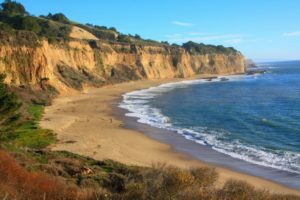 Should I add Santa Cruz on my places to visit? In the summer months, Santa Cruz is where you’ll find the biggest crowds – and, all of the action with heart-pounding thrill rides like the Giant Dipper, one of the oldest wooden roller coasters in the nation, running since 1924. 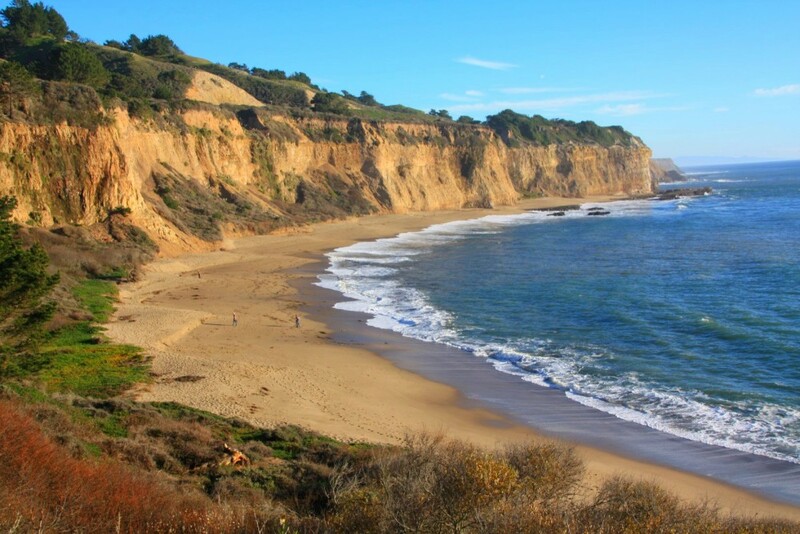 This is also a great spot to hear live music while soaking in the sun and the sand, heading out on the water with a stand-up paddleboard among the otters and sea lions, or enjoying a romantic sunset sailboat ride. If you’re in the mood to shop, you’ll find lots of bargains in the Pacific Garden Mall, an outdoor mall with some outstanding thrift stores and consignment shops – along with some of the best people watching in the state. What is to do in Monterey? Monterey is less than an hour south of Santa Cruz. It’s worth stopping to visit the renowned Monterey Aquarium. Unlike stand-alone aquariums you’ll find in most other cities, it sits in the bay, pumping 2,000 gallons of sea water each minute into the aquarium, making it possible to sustain sea life you wouldn’t be able to see elsewhere, at least without scuba gear. It features exhibits that include many different native species like jellyfish, sting rays, and sea otters as well as touch tanks so that you can feel the rough surface of a starfish or the soft skin of a sea cucumber. The Monterey area is also famous for its numerous golf courses, with more than 20, including Pebble Beach and Cypress Point. 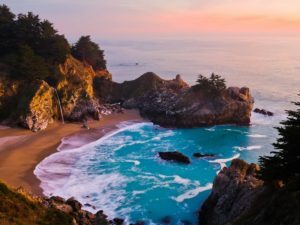 What is Big Sur known for? Just when you thought the views couldn’t get any better, as you venture further south, winding around each bend, you’ll be amazed at the increasingly beautiful scenery that includes deep gorges cutting through rugged mountains, pine forests that extend to the edge of sandy beaches and even cascading falls plunging to the sea below. California’s Central Coast has inspired many artists, poets, and writers, and it’s easy to see why. Big Sur, 25 miles south of Monterey, is the home of one of the world’s unique beaches, Pfeiffer State Beach. You won’t want to miss this rare purple sand beach, with its purple hue derived from the manganese garnet deposits that are found in the surrounding rocks. With the azure-colored waves crashing against it, the contrast is simply stunning. Should I start or end my trip in Malibu? 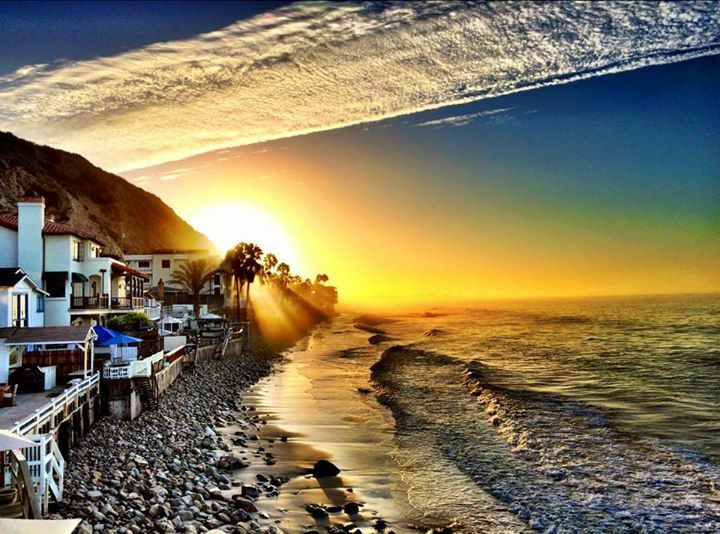 The famous beach town of Malibu is the home of some celebrities, beautiful stretches of sand, outstanding eateries and fun shopping opportunities. If you’d like to catch a glimpse of a Hollywood star pretending they don’t want to be seen, head to Malibu Country Mart. Malibu Lagoon State Beach, formerly known as Surfrider Beach, is a good place to go for a swim in the summer and enjoy some great people watching. California has so much to offer to its residents, but as well to people from all over the world. With varieties from Nature, Surfing, Woods, Wineries, Restaurants, Traditions, State Parks, Nightlife, Festivals and many other places to visit, we will only focus on top 5 events to attend in Califonia. 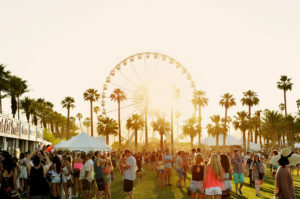 Its official name is the Coachella Valley Music and Arts Festival, but everyone knows it simply as “Coachella,” and it has done quite a lot to obtain that legendary one name status. 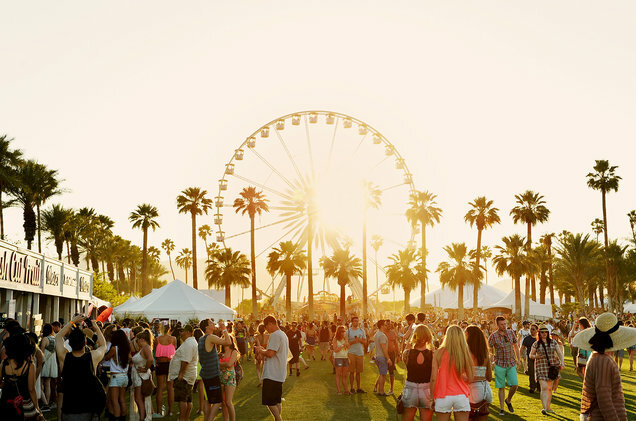 Coachella is the music festival to end all music festivals with an eclectic lineup of big-name and up-and-coming artists and bands that will bring out the big guns to the joy of a packed Empire Polo Club ground that includes celebrities, hipsters, and everyone in-between. It’s a party like no other, and If you haven’t been to Coachella, you’re missing out on one of the biggest parties on the planet, bar none. Apr. 14-16 and Apr. 21-23. 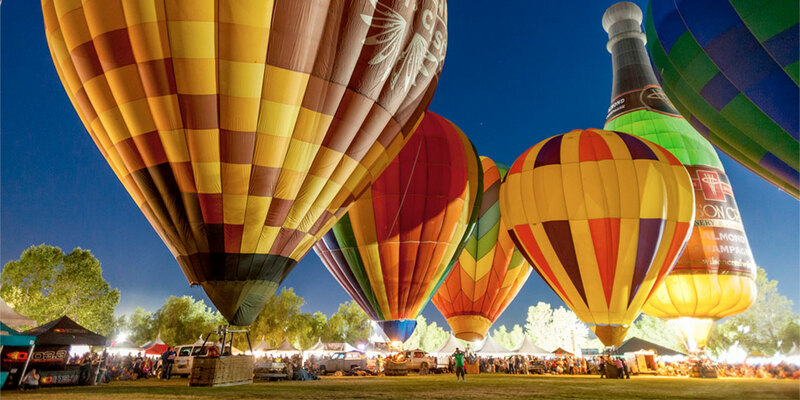 The Temecula Valley Balloon and Wine Festival, then known as the Rancho California Balloon and Wine Festival, was started in 1983 by Walt Darren, a commercial airline pilot, and avid balloonist and by Evelyn Harker a veteran event organizer and fundraiser. Evelyn immediately suggested it might “fly” even better if it involved some of the area’s other natural attractions such as wine tasting, culinary presentations, and entertainment. With an enormous task ahead, the assistance of two other community-minded individuals, Sherry Prysock and Mike Flaherty was enlisted, and Evelyn became the first event chairperson. The seed money was provided by Kaiser Development Company and sponsors came from the local community giving what they could with many contributions consisting of in-kind services and products. June 1-3. 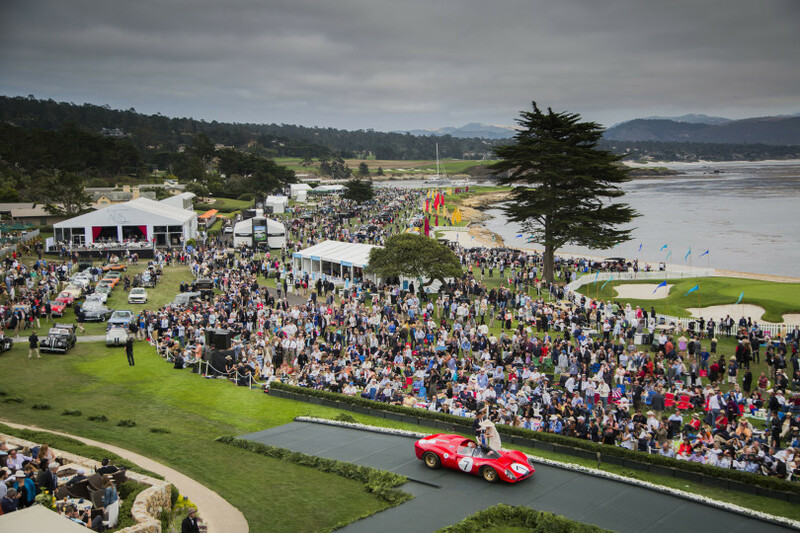 A tradition going back over half a century, the Pebble Beach Concours d’Elegance is where the world’s collector cars meet and compete. Only the 200 best collector cars in the world roll onto the legendary 18th fairway of Pebble Beach Golf Links, and only a handful of those will receive official recognition for style, technical merit, and historical accuracy. 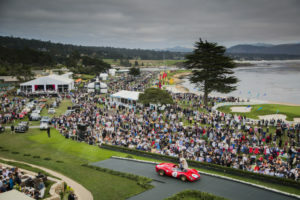 This special automotive week is full of exciting events, auto shows, rallies, concours and car auctions that end on Sunday at the Pebble Beach Concours d’Elegance. August 18 – 26. Believe it or not, there are quite of few music festival diehards that look over this massive festival in the Southern California desert. But in truth, the Joshua Tree Music Festival is one of the best in California, if not the nation. This festival is unique in that it’s split into two editions, one in the spring and the other in the fall. 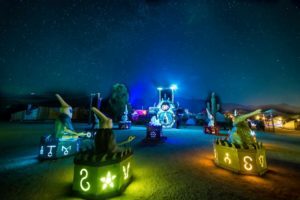 Although most will make it to at least one of the two, the Joshua Tree Music Festival is best experienced when you attend both editions. May 12 -15 and Oct. 6 – 9. To enjoy the roots of California’s legendary music scene, this is the festival that you need to attend. 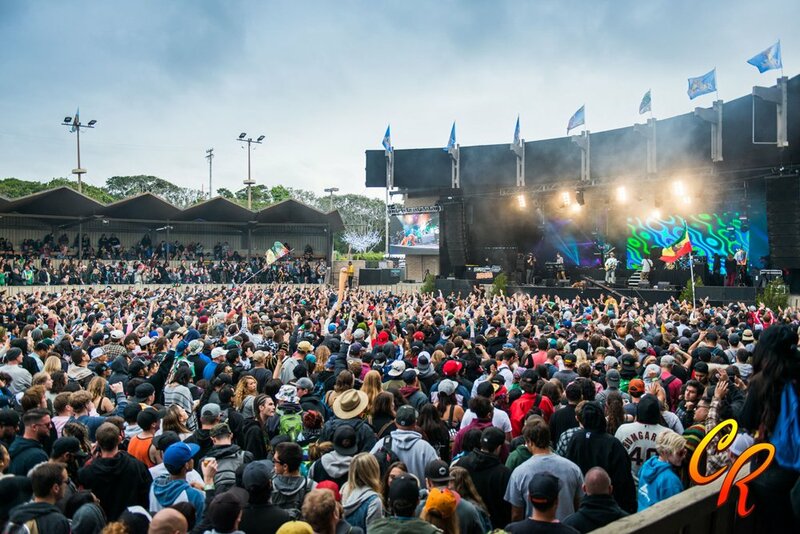 The California Roots Music and Arts Festival is a three-day affair held every May at the Monterey Fairgrounds that showcases some of the best bands and artists from around the Golden State. Though the festival does attract nationally-known artists, this festival is primarily geared to the local talent, which is what makes this festival so awesome. May 27-29. 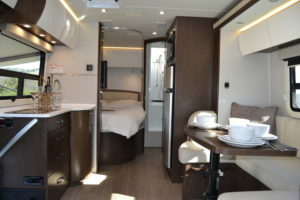 Accessible accommodation in an RV (Motorhome) and in some cases, the only best housing. 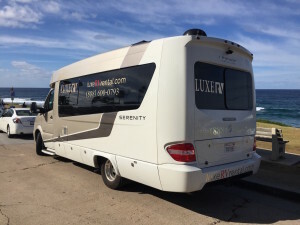 Renting an RV for any of this events is very simple with Luxe RV. Several years ago, I drove cross country in a 36 foot 1970’s style mobile home from Los Angeles to South Carolina. Back then, the largest car I had ever driven was a 1990 Chevy Blazer. Needless to say, the RV was bigger and not the least bit comfortable to drive. The captains seat was like sitting on a pillow case full of aluminum cans. And driving this beast was a nightmare. Imagine an oversized shoe box on wheels, covered in wood paneling. I’ll never forget feeling like the RV was going to tip over. I wasn’t exactly thrilled when my boss suggested a weekend getaway in an RV. The Serenity is not your standard RV. It’s a Mercedes, which pretty much says it all. The 2016 Serenity is German Engineering at it’s best. My wife and I are driving to Pismo Beach in the new 2016 model. With a full kitchen, wood flooring and wifi, it’ll be like hanging out at home. But my home isn’t this modern. 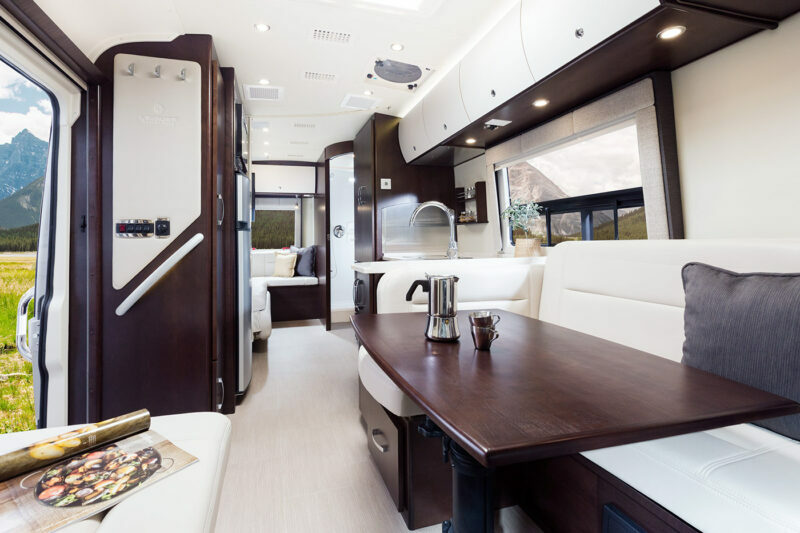 This Serenity is the James Bond of motorhomes. It’s got a 3L VT BlueTEC diesel engine that gets between 16 and 22 miles per gallon, which is pretty good. I have a feeling the Serenity will live up to the name. I can’t wait to saddle up in the leather swivel captain’s seat. 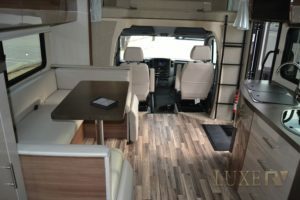 I’ll be taking a lot of video and my wife is addicted to Instagram.You can check out some video at https://www.instagram.com/luxerv/ and see this amazing RV in action. Keep your fingers crossed. I’ll write more next week. Scrambling for Lodging for Super Bowl 50? It’s that time of year again Super Bowl 50 is just days away. For those lucky fans that get to attend, finding transportation and a hotel room can be a true challenge. You probably have never thought of attending a huge event like the Super Bowl in an RV, have you? How much fun would it be to road trip with family and friends to the Super Bowl? Especially if you’re driving a luxury motorhome and truly traveling 1st Class! Whether it’s the Super Bowl or your kids State Football Championship game, imagine how much fun the family will have on a luxury road trip. When hotels are booked for miles away from the venue, you simply need to find a local out of the way RV Park. Being totally sustainable, on board water, generator for utilities you don’t need a hotel, restaurant, you just need a spot. RV parks will also have everything you need for your coach, shore power, utilities and lots of nice people having fun. You’re totally self-sustaining, not a bad problem to have when everything is crowded, booked up and fun times are wasted fighting the crowds. Another advantage is many larger venues have an area for RV’ers. These areas are filled with families, where it’s more like a neighborhood party. A big bonus is no waiting in huge lines for a restroom break. A nice clean bathroom is right inside your coach. Not the most glamorous thing to think about, but for wives this is a huge plus. 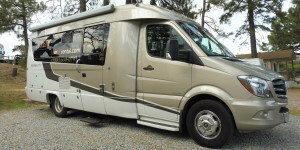 When you think about it renting a luxury motorhome, going to the Super Bowl, how much more fun will your stories be. Anyone can travel to a hotel, fight huge lines at the airport security, wait in long lines for food, and beverages. 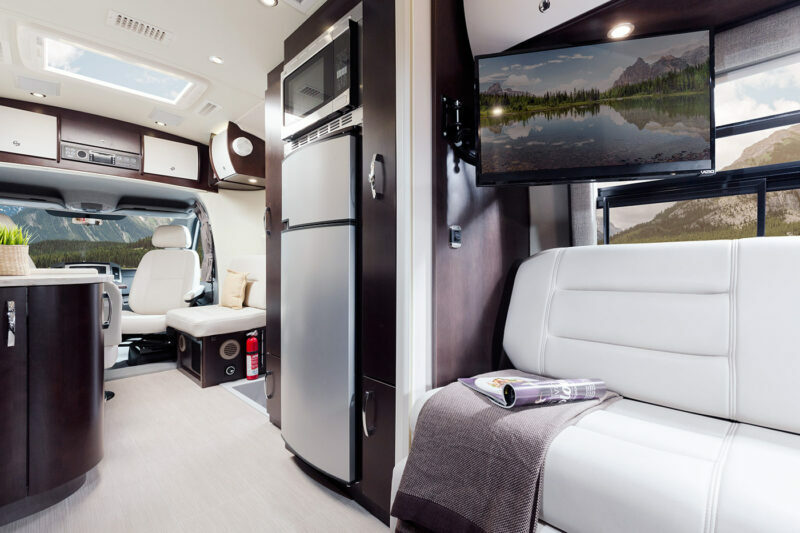 Imagine being able to go have everything you need in your luxury RV. 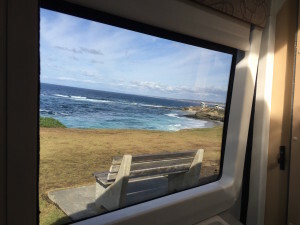 Being able to have more time enjoying the experience vs. fight all the troubles with normal everyday travel, you’re not a normal everyday person! An adventurous soul will understand. Experiences like this are often times ounce in a lifetime. 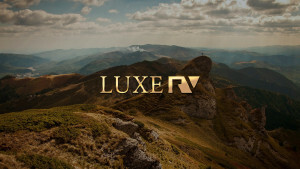 Don’t let your ounce in a lifetime be anything but epic, Luxe RV takes luxury to a whole new peak. My nasal herpes returns systematically when I stop this treatment with Acyclovir. Read more how much does acyclovir costs. There are no side effects, and the symptoms disappear within two days if you start taking the pills immediately. In a hustle bustle world where we’re all tied to what seems to be an endless electronic life, kids glued to video games and the rest of us glued to social media. We’ve lost touch with nature. When was the last time you saw a beautiful night with a sky full of stars? Maybe it’s time to unplug from the world and go experience the world. The good news is you can experience nature without compromising luxury & comfort. 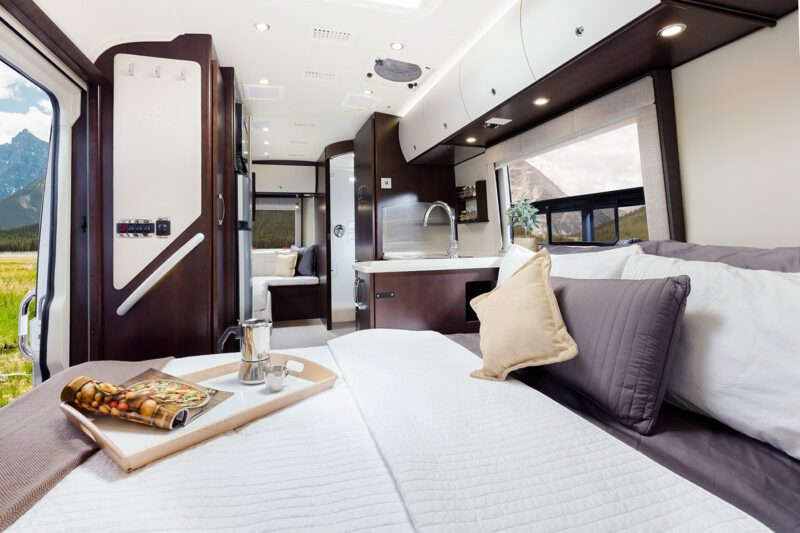 Luxe RV travel is the fun of the outdoors, with the luxury you’re accustom to and for those adventuresome souls sleeping out amongst the stars is right at hand. When you begin your journey imagine having the whole family able to play board games, talk and have fun. Traveling can be first class without waiting in long security lines at the airport, weather delays and a hundred other things that dig into vacation time. Load up the family and your adventure begins with everyone on board in a first class seat. If you’re a couple that simply needs a getaway, unplug from the 9 to 5. It’s so easy to get caught up in life and need a weekend to rekindle some romance with your special someone. Imagine finding a secluded area so majestic you simply have no words to describe. So many choices of hiking, exploring, napping, and that’s just your days activity. At night cuddling up with a campfire, a bottle of your favorite wine with the stars to light the moment, with a luxury accommodation from Luxe RV just steps away. 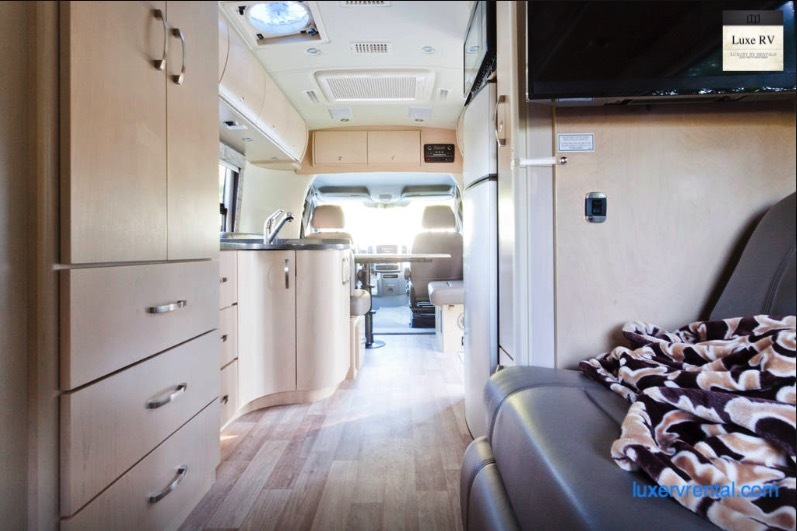 It simply does not take long to figure out that Luxe RV can help you create lifelong memories to share. With so many beautiful National Parks in California or off the beaten path destinations, you will find that perfect spot to create lifelong memories. With world class names like Mercedes Benz™, LeisureTravelVan™, Winnebago™ and Coachman™ you will enjoy your travels in true style. Often compared to a luxury hotel on wheels, these world class coaches provide styling and comfort. Luxe RV allows you to enjoy life in a whole new way. Driving the Leisure Serenity is a pleasure on its own, but in this trip I got to noticed how important is to have so many windows as Serenity does. It was a great drive all the way and pretty cool camping ground. A little rural for someone who’s connected at all times, but it was a great experience. From the cold of Julian area, seeing La Jolla on a beautiful, worm day was absolutely perfect. 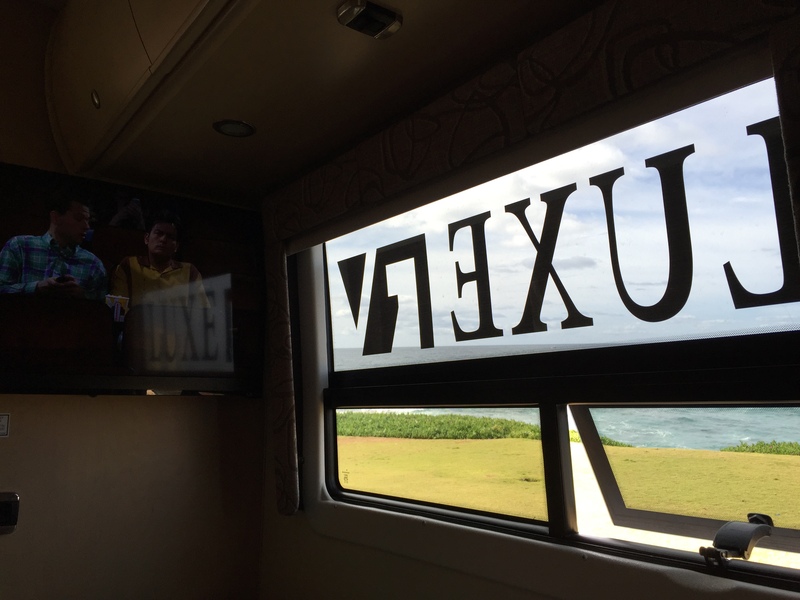 We want to start by thanking Sara for choosing Luxe RV and sharing her experience with us! Sara was shopping around to rent an rv for her family of 4. 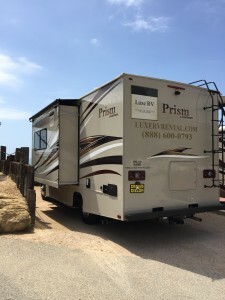 Here she books a Coachmen Prism with Luxe RV and her dream Malibu weekend starts. Sara was super excited just to know that she will rent a new rv and not some old smelling RV. 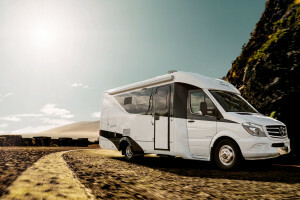 On top of that the RV is a Mercedes and build with premium quality by Coachmen. She rented the RV from us and the next day she got it delivered to her door at no charge. 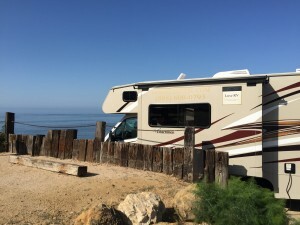 Plus, having it delivered at your door where you can load the RV with your food, clothes and kids stuff is pretty cool, but even cooler when the rented RV is outfitted at no additional charge. 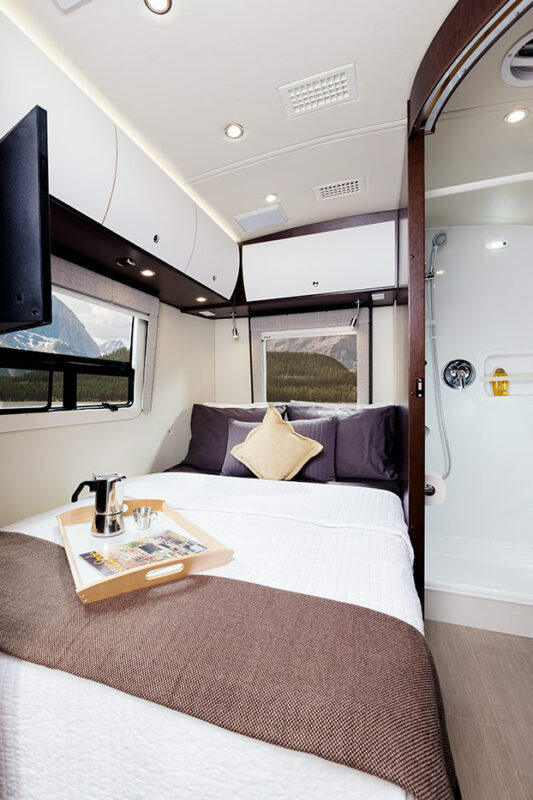 Our RVs for rent come with organic bedding, kitchenware, outside table and chairs, coffee, tea and much more. 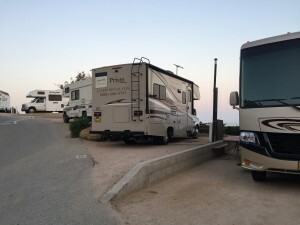 This is a must in the RV renting business if you care about your customer experience. Sara and her family had blast in Malibu with super comfortable Coachmen Prism. Luxe RV is here to offer premium luxury RVs for rent and an unmatched customer experience.